While most research on the e-diaspora focuses on connections within heterosexual families and communities, this paper explores the transnational connections and digital media uses of LGBTQ migrants. Based on semi-structured interviews with 23 LGBTQs living in Belgium, two groups are distinguished: voluntary migrants, who chose to move, and forced migrants, who (felt they) had to leave their country because of their sexual orientation. Comparing their familial and ethno-cultural connections, it becomes clear that both groups – for varying reasons and to varying degrees – feel disconnected from their countries of origin, families, and ethno-cultural communities in Belgium. For all participants, digital media are a key tool to maintain some connections, but particularly for the forced migrants ‘context collapse' on social media leads to a sense of insecurity. Overall, this research illustrates the importance of intersecting variables in research on the e-diaspora, as well as the impact of ‘offline' legal and material conditions on online media uses. Media And Diaspora: And Sexuality? Over the past decades, one of the key paradigms in social sciences has been that of globalisation. Moving away from a world of clearly delineated nation-states, increasingly borders are crossed by people, money, products and technologies, including media, which leads to processes of deterritorialisation and cultural hybridity (Sinclair, 2004). In this context, the notion of the diaspora has gained currency, questioning the idea of fixed national and ethnic groups, focusing instead on the transnational movement of people (Brah, 1996). Many have studied media in diasporic contexts, highlighting their role in establishing and maintaining connections with the country of origin, particularly among first-generation migrants (e.g. Hargreaves and Mahdjoub, 1997; Elias and Lemish, 2008). While early work on media and diasporas investigated mass media, in particular television, more recent work tends to focus on digital media which also allow for interpersonal connections with relatives and friends. 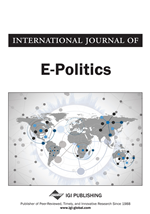 According to Oiarzabal and Reips (2012), ‘the personal computer, the cell phone and access to the Internet have become quotidian resources among migrants who use them to develop, maintain and recreate informal and formal transnational networks in both the physical and the digital worlds, while reinforcing and shaping their sense of individual and collective identity.’ (p. 1334). One key dimension in this literature concerns the ability for migrants to maintain close social ties across borders by using digital media, which leads to transnational ‘co-presence’ (Nedelcu, 2012) among ‘connected migrants’ (Diminescu and Loveluck, 2014). Research in this field focuses in particular on the maintenance of familial bonds by the use of digital media, which offer unprecedented low-threshold and high-quality means for geographically dispersed families to stay in touch (Georgiou, 2010; Madianou & Miller, 2012; Nedelcu, 2014).